treatments used in immunological disorders. Focusing on clinical problems seen in practice and including self-assessment questions and case histories to aid learning and understanding, this is an invaluable resource for all medical students, nurses, nutritionists, pharmacists and physiotherapists. 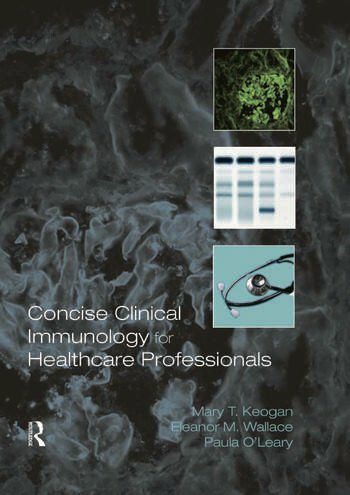 Mary Keogan is Consultant Clinical Immunologist at Beaumont and Mater Misericordiae Hospitals, Dublin and Senior Lecturer in Pathology, Royal College of Surgeons in Ireland. Eleanor Wallace is Medical Scientist in the Department of Immunology, Beaumont Hospital, Dublin. Paula Oâ€™Leary is Senior Tutor in the Department of Medicine, Cork University Hospital, Ireland.